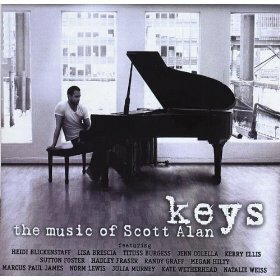 Keys – The Music of Scott Alan is the second album of this American composer’s work, the first Dreaming Wide Awake becoming a fast favourite and so I was quite keen to start working my way through his other CDs. This album, which was produced by composer Alan, features orchestrations and arrangements penned by James Abbott, Barbara Anselmi, Sam Davis, Tom Kitt and Jesse Vargas which are heavy on piano and strings which instantly scores brownie points for me as it makes the album sound so much classier from the off and suggests that a timelessness that can never be achieved with an overly synthesised approach. The calibre of performer Alan can attract is really quite seriously impressive especially considering there’s no real hit show to his name yet, but this is just testament to the quality of the song-writing. One assumes these songs are being written for shows but I suspect part of the reason for his appeal is that they stand alone so very well and so make ideal inclusions for cabarets. 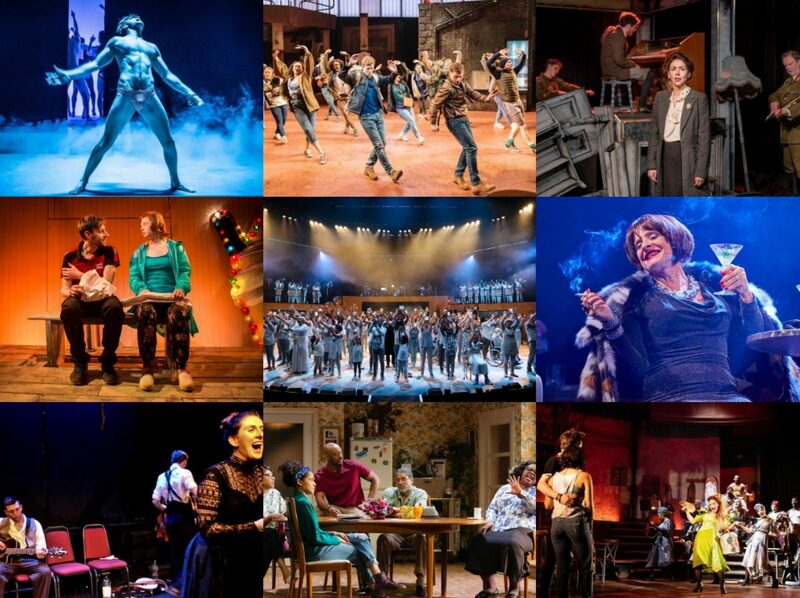 Whether it is veterans like Norm Lewis, purring silkily through ‘How Did I End Up Here’ and Sutton Foster’s gorgeously restrained ‘Always’, or the comparative young guns of Caissie Levy with her driving ballad ‘Please Don’t Let Me Go’ and Hadley Fraser’s impassioned ‘Again’, there’s a great sense of natural ease about this recording. For me though, Alan’s greatest achievement is to keep Kerry Ellis away from the rock chick schtick and give her a rather mellow simple song ‘Behind These Walls’ which she delivers beautifully, reminding me she can be a really good singer when the electric guitar has been put down. Altogether, the album makes for a good listen if not quite reaching the giddy heights of Dreaming Wide Awake, something of the lightness of touch and the sense of sheer fun missing. But another strong entry into Alan’s canon, marking him as a composer to look out for and one that musical theatre performers would be well advised to look into when composing setlists for cabarets.